I feel like I'm at a crossroads in my life. It's like I've come to the fork in the road where I either commit to leading this safe life of having a steady job and 401K and putting my real dreams on the back burner, or taking a leap of faith and going for what I really want out of this life. A quarter-life epiphany, if you will. I've grown so much this year, and learned to rely solely on myself to fulfill any and all of my needs. It's been a very telling journey. My awareness has been amplified. Being on my own has taught me to see things a lot clearer for what they are... not what I'd like them to be, or is pleasant. I picked up a part-time for the first time in my adult life to help me get over the break up of my longest and most intense relationship. It helped in keeping me busy and filling any alone time that may have allowed my mind to wander. The extra money also helped out... a lot. 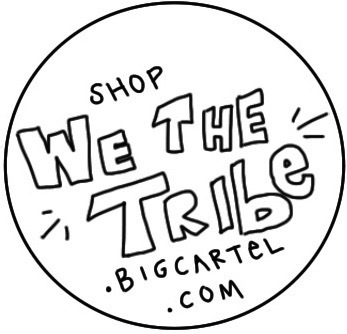 I started 'We the TRIBE' in January and it has come a lot further than I ever imagined it to. I'm blogging more, living more, traveling and getting to know more about myself than I ever had time to before. Looking back at the last 10 months makes me feel good about where I am right here in this moment. And I don't want you to get me wrong, this isn't coming from a place of unhappiness; it's more so a place of restlessness. I want more for myself. For the first time in a long time my main focus is on me, as selfish as that may sound (unapolegetically so), and trying to figure out what I want. So I'm going after it. As I mentioned in a previous post I'm laying out the blueprint and it's looking clearer and clearer by the day.